Mania - MyMagazines - Subscribe online and save. 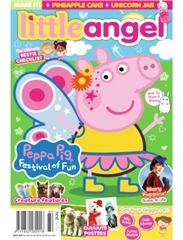 The hottest kids’ mag in Australia for boys aged 7-15!! Mania is cheeky, cool and in the know - just like our readers! 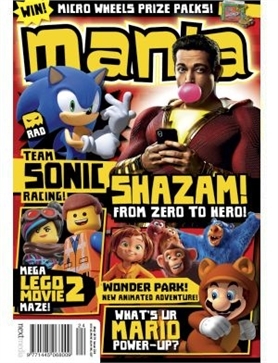 Kids love reading Mania to keep up to date with what’s hot in gaming, movies, music, celebrities and the latest toy releases. 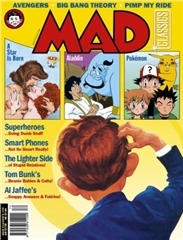 Mania also features fun fiction, jokes, pets, comics and sport. Every issue of Mania is full of interactive competitions, challenging puzzles and interesting and funny stories – a magazine that keeps kids entertained all month long! NOTE: SUBSCRIPTION COPIES DO NOT COME WITH MANIA FREE GIFTS AVAILABLE ON NEWSSTAND COPIES. 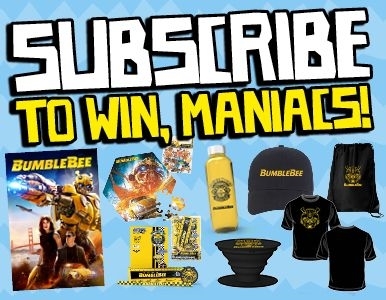 SUBSCRIBE FOR YOUR CHANCE TO WIN A BUMBLEBEE PRIZE PACK! Subscribe to Mania this month for your chance to WIN 1 of 22 Bumblebee prize packs valued at $90 each! Prices inc GST. Savings based on cover price. 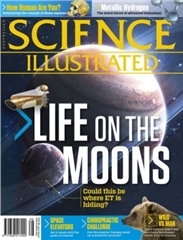 Subscriptions commence with the next issue to be mailed, please allow 6-8 weeks for delivery of you first magazine and separate delivery of prize/s (after 7/5/19). 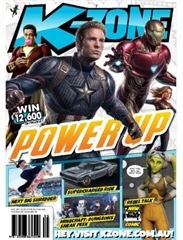 Competition open to new, renewing or extending Aust and NZ residents, subscribing in print to Mania for a minimum 1 year between 8/4/19 and 5/5/19. Twenty-two (22) subscribers will each win a Bumblebee prize pack valued at $90. Total prize pool is valued at $1,980. The winners will be drawn on 7/5/19. The Promoter is nextmedia P/L, 207 Pacific Hwy, St Leonards, NSW 2065. NSW Permit No. LTPM/19/04049, ACT Permit No. TP 19/02587. Our full Privacy Notice can be found at www.nextmedia.com.au. If you prefer to receive your communication electronically, please ensure we have your current email address. Please provide phone or email in case of delivery issues.